A brazen daylight murder of a dictator’s half brother should make for an intense trial. Instead, the Kim Jong Nam assassination case has barely focused on North Korea’s government at all. Doan Thi Huong (back, second from left) and Siti Aisyah (front, second from right), who are on trial for the killing of Kim Jong Nam, the estranged half brother of North Korea's leader, are escorted as they revisit the Kuala Lumpur International Airport 2 in October. 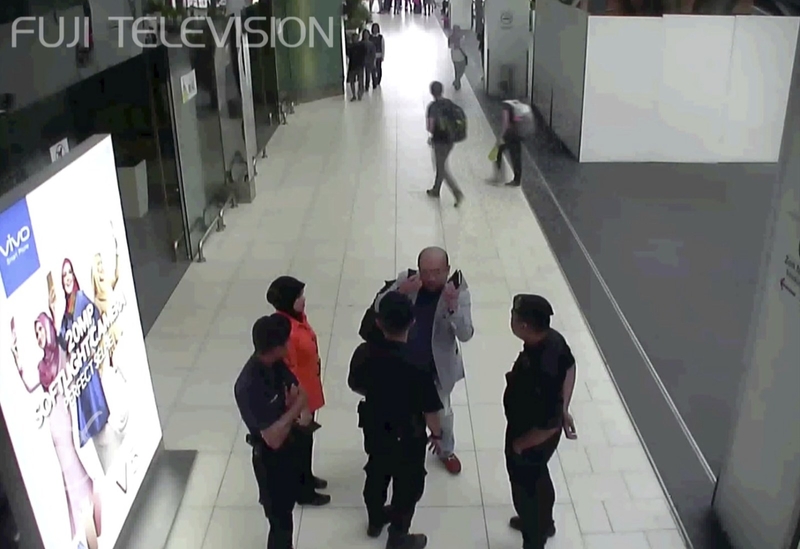 KUALA LUMPUR, Malaysia — It was already March by the time two officials from the North Korean embassy approached criminal defense lawyer Jagjit Singh — weeks after the assassination of Kim Jong Nam, the half brother of North Korea’s leader. Was Singh, they wanted to know, afraid to represent the North Korean government? Singh has practiced law for more than half a century, but he’s perhaps best known for defending one of Malaysia’s most dangerous gangsters. North Korea, he reasoned, had just as much a right to defend its interests as any other client. Singh said he’d take the case. “I’m not afraid,” he says he told the officials. Describing his relationship with the North Korean embassy in a rare interview, he couldn't help but grin slyly when the conversation turned to details about the backstory of the mysterious case. The North Korean embassy approached him, he told BuzzFeed News, not just because of his wealth of legal experience, but also because of his broad network of contacts. Kim's murder should have been the basis for the trial of the century. It was a case that drew international interest from the beginning for its bizarre twists and turns: One of the accused was wearing a T-shirt that said "LOL” during the incident that left a man dead, killed by a banned toxin. Their lawyers insist that the two women currently on trial for Kim's death were manipulated into believing they were on a hidden-camera prank show. Ri was soon on his way back to his home country, followed later by three other North Koreans who were also believed to have links to the case. In exchange, Pyongyang agreed to stop holding a group of Malaysian nationals hostage. When the four men left Malaysia, they took with them the possibility that they would provide testimony and evidence — as well as the chance that they would be formally charged with any wrongdoing. At the North Korean embassy in Beijing on his way home, Ri told the press the affair was “a conspiracy, a plot to try to damage the status and honor of the republic,” and that Malaysian police had shown him fake evidence. Seven months later, sitting in on the trial itself shows it to be almost maddeningly mundane — one local journalist joked that the only thing preventing her from falling asleep was the overzealous air-conditioning. Rather than highlighting likely connections to the North Korean state, the prosecution in the Kim murder case has shied away from discussing any possible role that Kim Jong Un’s government could have played in his brother’s death. Instead, it’s focused largely on proving the guilt of Siti Aisyah, from Indonesia, and Doan Thi Huong, from Vietnam, who face death by hanging if they are convicted, as well as the role played by the four North Koreans who left. The two women were allegedly caught on closed-circuit television cameras smearing the deadly nerve agent VX across Kim’s face. But as the trial marches forward, no North Korean officials have faced charges in Malaysia, and Pyongyang strongly denies it has any connection to the case. The proceedings earlier this month have not revealed much new insight on the case, instead establishing details about the murder that had already come out in dribs and drabs through the press — how the investigating officer arrested the two suspects, for instance, and the perspective of the medical officer who treated Kim before his death. The most recent headline from the trial declared that Kim’s “soiled underwear” was evidence of poisoning. On the nineteenth day of proceedings, a police officer on the witness stand revealed a list of Kim Jong Nam’s belongings that hinted at the international dimensions of the case — he was carrying eight different international currencies, including $124,000 in US dollars. The question of why he might have been carrying so many different types of cash was left open. Along with the spectacle, Kim’s death attracted international headlines proclaiming that Malaysia’s relationship with North Korea was damaged beyond repair. After all, it seemed like Pyongyang had performed the diplomatic equivalent of extending a giant middle finger in the face of Malaysia’s sovereignty by blithely carrying out an assassination in broad daylight in the middle of a crowded airport. In response, Malaysia scrapped direct flights to North Korea and began requiring visas for North Koreans to enter the country. It also halted all imports from Pyongyang for at least two months this summer. But in a move that’s puzzled some US policymakers, it has not cut off relations with the diplomatically isolated country. And it’s made little mention of cracking down on a wide array of illicit North Korean activities playing out in Malaysia, from arms smuggling to cyberattacks. 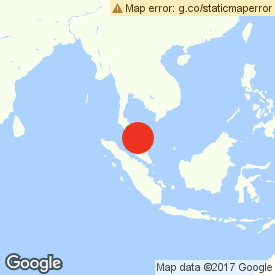 It would seem that if any southeast Asian country had good cause to cut off North Korea, it would be Malaysia. The fact that it hasn’t — because of a mix of public disinterest, entrenched corruption, and a desire for diplomatic neutrality rooted in its Cold War history — illuminates a problem for the Trump administration that extends well beyond Kuala Lumpur, to dozens of North Korean trading partners around the world that have become targets of a pressure campaign that has seen varying degrees of success. Rather than shrinking in the face of previous US efforts, Malaysia had grown its imports from North Korea from only 1,183 ringgit ($288) in 2012 to 8.2 million ringgit ($2 million) in 2016. At a time when international sanctions have hindered Pyongyang’s ability to obtain hard currency, that trade is significant. “In terms of financial crime, money laundering, drug trafficking and arms smuggling, Malaysia was North Korea’s most important partner in southeast Asia,” said Hoo Chiew Ping, an academic at the National University of Malaysia who is investigating the history of the two countries’ relationship. Pyongyang first began courting Kuala Lumpur in the 1960s by trying to set up a table tennis match between the two countries — much like the “ping-pong diplomacy” that took place between the US and China a decade later. The North Korean overtures paid off, though the relationship was often one-sided. North Korea immediately began using Malaysia as a base for illicit activities, according to Hoo’s research, smuggling in Mercedes-Benzes within the first two years of diplomatic relations. The two countries also struck up legitimate trade, exchanging everything from pantyhose and nutmeg to heavy machinery. The use of the nerve agent VX in the Kim murder shocked the public, but Hoo has uncovered trade invoices that show two North Korean companies have exported industrial chemicals to Malaysia as early as 1980 — such companies, she said, could easily bring in such materials disguised as legal substances. The trade partnership led to the start of formal diplomatic relations, in part grounded in the notion that Malaysia had to show its independence from both the US and the Soviet Union amid the Cold War. Part of the problem in cutting off links to Pyongyang is that North Koreans engaged in illicit activities often use fake passports and sail ships flying other countries’ flags. Corruption is also a major problem in Malaysia. There were some protests held outside the North Korean embassy in Kuala Lumpur in the days after the assassination. Beyond that, the Malaysian public has collectively shrugged their shoulders about the assassination since the trial began, researchers said. Still, it’s been tough for the US to understand why Malaysia isn’t cutting off diplomatic relations with North Korea altogether. Though past administrations have encouraged Pyongyang’s trading partners to take international sanctions seriously, the Trump administration has been particularly vocal about pressuring countries at high levels, especially in southeast Asia. Secretary of State Rex Tillerson in May publicly called for countries in the region to reduce diplomacy with North Korea or stop it altogether. North Korea watchers in Malaysia say that in private, US pressure has been even more intense. “There is a discussion within the government whether the Malaysian embassy in Pyongyang should be moved to Beijing,” she added, saying the existence of the discussion is itself an indication of pressure from the US. But Govindasamy said that she didn’t believe that Malaysia should give in to pressure to cut off trade or relations with North Korea. It’s important for the country, she said, to maintain neutrality. Asked what would happen in Malaysia did cut off trade, Singh simply shrugged. Jagjit Singh’s Kuala Lumpur law offices are tucked away in a nondescript building in a neighborhood better known for its Indian spice vendors and shops selling silk saris. He looks younger than his 73 years, but more than his salt-and-pepper beard, the real giveaway is the fact that he prints out all of his emails to file away in stacks of pristine manila folders. Tucked away in that stack is the correspondence that helped shape the course of the Kim trial. Singh ended up signing a retainer to work for the family of Ri, the chemistry expert who was the only North Korean ever held in police custody in connection with the case. Ri was never formally charged with any crime, but police had detained him for questioning. (Singh says Ri gave “whatever information he could.”) Singh worked his contacts inside law enforcement to get him released within 14 days. He also worked to make sure he suffered no abuse in custody, according to a letter he sent to police that he shared with BuzzFeed News. Police have said Ri was released due to lack of evidence, noting he did not appear in security camera footage from the airport and that neither Aisyah nor Huong said they knew who he was. 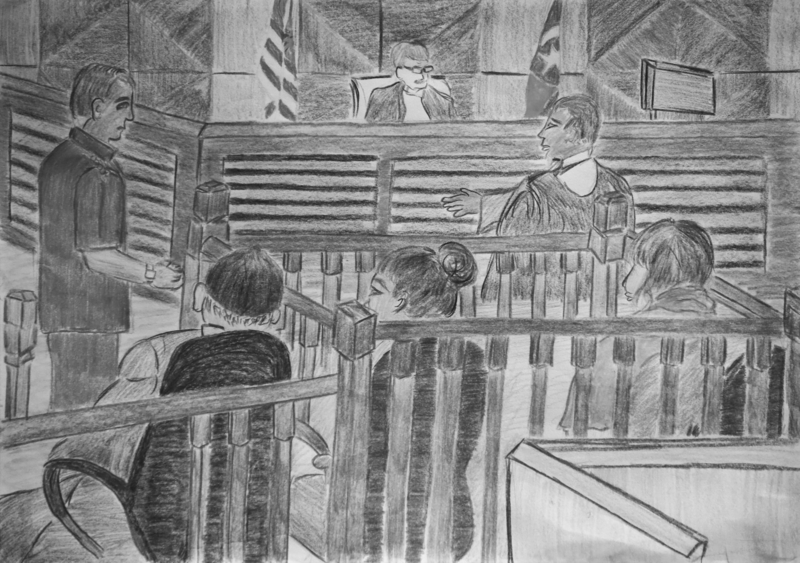 After Kim’s murder trial began, Singh began sitting in on the untelevised hearings so he could inform the North Korean embassy what took place, but after the early days of the trial, he stopped attending. It didn’t matter. His clients were keeping close tabs on their own. “They have their sources,” he said cryptically. North Korean officials had come to him before with information that only the few dozen people sitting inside the courtroom could know. Singh also implied that the North Koreans have their own suspicions about just what Kim Jong Nam was doing in Malaysia, but would not go on the record to explain them. He did say that they’re concerned in particular about the possibility that contents of two cell phones belonging to Kim Jong Nam that were seized by the police — an iPhone and a Nokia — will come out in the course of the trial, as well as information contained in a Dell notebook. It’s unclear exactly what might be on those devices that would be so troubling to the North Korean government. Earnyee Tuan contributed additional reporting to this story.